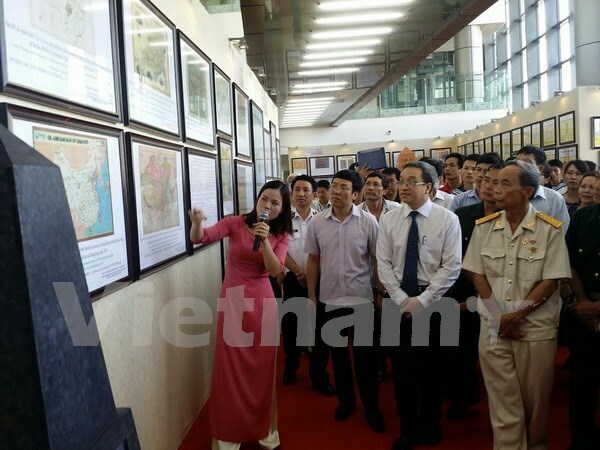 Nghe An (VNA) - An exhibition on maps and documentaries affirming Vietnam’s sovereignty over Hoang Sa (Paracel) and Truong Sa (Spratly) archipelagos opened in the central province of Nghe An’s Cua Lo district on June 3. The exhibition is introducing 150 maps and materials published by Vietnam, China and western countries, including four ancient Chinese atlases and official documents dating back from the Nguyen Dynasty (1802-1945). These are clear evidence of Vietnam’s sovereignty over the archipelagos. The exhibition lasts until June 5. The same day, Nghe An organised a meeting to mark World Environment Day (June 5), World Oceans Day (June 8) and Vietnam seas and islands week.